Home » Blog » Dry Eye Symptoms? It Could be Blepharitis! Eye symptoms such as a foreign object sensation or chronic dryness can be disruptive. It is crucial to observe sensations that are out of the ordinary so you recognize when you may need to see your eye doctor for treatment. Here, we discuss what blepharitis is and what can be done to alleviate symptoms. Blepharitis is an inflammatory condition that affects the margin of one or both eyelids. When this part of the eye becomes inflamed, the natural instinct may be to blink more because blinking spreads tear film across the ocular surface. Even with frequent blinking and eye rest, blepharitis may cause persistent itching, redness, and irritation. To reduce or eliminate symptoms, it is necessary to treat the oil glands, called meibomian glands, along the margin of the eyelid. There are several ways that blepharitis can be treated. In some cases, it may be possible to manage symptoms at home. However, it is not likely that home remedies for dry eyes or inflammation will resolve the underlying issue entirely. For temporary relief of early symptoms of blepharitis, a warm washcloth may be applied over the eye or eyes. The mild heat and moisture applied to the eye area can loosen flaky or crusty particles that have formed around the eyelashes. This remedy may also somewhat decrease the presence of bacteria that can lead to infection. 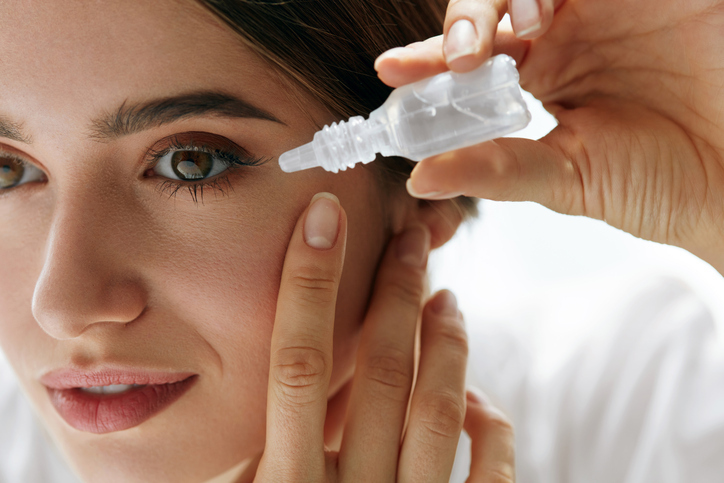 The purpose of eye drops is to manage the lubrication of the ocular surface. When the meibomian glands are dysfunctional, the natural tear film is deficient in one or all layers (oil, water, and mucus). Administering over-the-counter or prescription eye drops supports necessary moisture and can, therefore, minimize symptoms. FDA cleared LipiFlow is the treatment of choice among ophthalmologists who routinely treat symptoms of dry eye. The objective of this technique is to administer precise, controlled heat alongside gentle pulsation to resolve the blockage within the meibomian glands. Dislodging debris from these glands restores normal tear production to support eye comfort. The type of dry eye treatment that you need is determined by the extent of your symptoms and the underlying cause. If it’s time to gain freedom from dry eyes, call Roholt Vision Institute to schedule a thorough exam.